XRP surged over 75% today as it became the world's second largest cryptocurrency by market capitalization for a brief period. Chaum is widely regarded as the forefather of cryptocurrencies and the wider world of cryptographic security and online privacy because of his pioneering security research work in the ’80s. His academic paper, “Blind Signatures for Untraceable Payments,” laid the groundwork for modern cryptography used in securing blockchains and cryptocurrencies. The “private key” and “public key” framework he laid out decades ago is still the basis for how cryptocurrencies are kept secured in wallets. Now he claims to have invented the first blockchain in the world with the capacity to handle all the needs of consumer-scale messaging and payments. The new platform, dubbed “Elixxir,” is reportedly able to process hundreds of thousands of confidential, quantum-resistant transactions every second. According to Chaum, the Elixxir blockchain offers faster and cheaper messaging and payment solutions than all other existing blockchains, with the ability to scale to levels current blockchains cannot dream of. While Elixxir claims to be able to handle hundreds of thousands of concurrent transactions every second with no problem, Ethereum, by comparison, is only capable of handling about 15 transactions per second. In correspondence with Bitcoin Magazine, Chaum said the response to Elixxir has been overwhelming. "Since our announcement, 24 hours ago, we’ve had over 600 express interest in running nodes and thousands express interest in our community. Our team is delighted and humbled by the response, and we look forward to further growing and working with our community." Building on the background of eCash alongside more recent cryptographic innovations, Chaum claims that Elixxir will give users the benefit of speed and scalability on the level of non-blockchain platforms like PayPal or Visa — something which, if it can deliver, promises to be a game changer for the crypto industry regarding mass adoption. According to Chaum, Elixxir succeeds at two majors things that other blockchains generally fail at. The first is that it has changed the makeup of the digital signatures used to verify ownership of cryptocurrency tokens. In his view, modern digital signatures are too much of a computational hassle, which in turn prevents blockchain platforms from scaling or achieving anything approaching the speed of non-blockchain networks. Elixxir will use one digital signature per block for each node contributing to that block. "There's no way we can get speed and scalability if for every transaction a server has to do a public key operation like making a signature or checking a signature. We can cheat a little bit,” Chaum remarked at the recently concluded Consensus event in Singapore. Elixxir effectively “cheats” by carrying out public key operations “in advance,” a framework that Chaum claims has not been attempted before, and which delivers speeds that are up to 1,000 times faster than any other blockchain in existence. This, Chaum says, is a breakthrough. When asked if his blockchain can rival some popular networks such as Lightning, Chaum said, "Elixxir can take blockchain to a new level. "A consumer messaging and payment app with performance, privacy and capacity that consumers are used to with today’s centralized systems. But at the same time, it can be resistant to attack even at the national adversary level." In addition to speed, Elixxir’s cryptography “cheating” effectively future proofs the network against the specter of quantum computer attacks at a time when there is a substantial amount of debate over whether quantum computing poses a threat to blockchains. For now, the project remains focused on transactions and is still not ready to hit the market anytime soon. 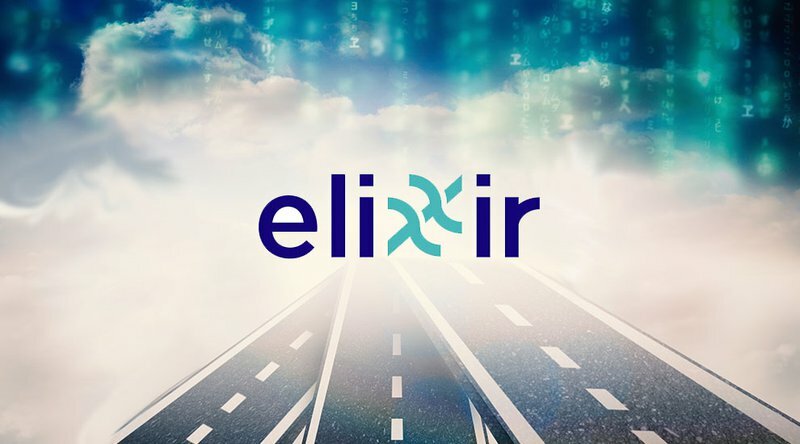 Nevertheless, Chaum believes that Elixxir could eventually grow into much more than just a cryptocurrency by becoming a fixture in online security frameworks. On the most recent episode of Let’s Talk Bitcoin!, the hosts discuss the now-defunct Bitcoin Alert system, devised by Satoshi himself. 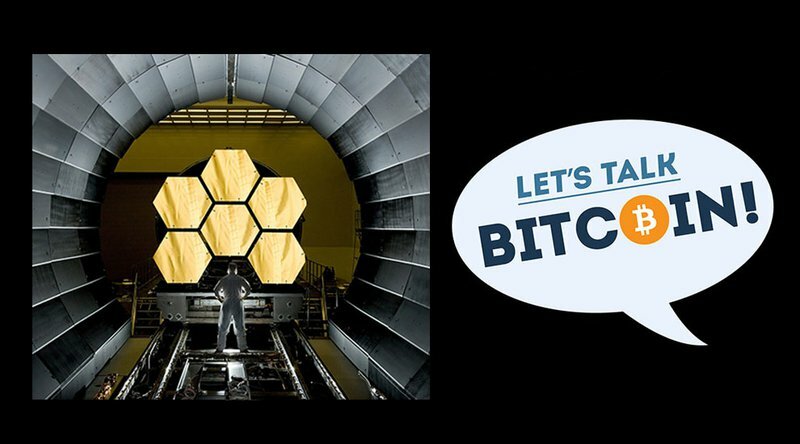 A rarity in the podcast space, this episode’s exploration involved no guest appearances, instead relying on the wealth of experience that Adam B. Levine, Stephanie Murphy, Jonathan Mohan and Andreas Antonopoulos had already picked up from their time with Bitcoin. Although seldom used and quickly discontinued, Bitcoin Alert was originally devised as an emergency means of sending communications to all members of the Bitcoin network, by propagating and authenticating the message through the nodes of the entire network. Very few people had access to this alert system, and critically most of those people’s identities were kept secret. The alert system was not entirely a misstep, as it did have practical applications in the early “Wild West” days of the platform. For example, as Andreas points out, a bug impacting 26 blocks of the chain was discovered in 2013, and the Bitcoin Alert system was used to quickly resolve the issue by getting community consensus to hard fork the affected blocks. Nevertheless, access to the Bitcoin Alert system was one of the few components of the network hard-coded in by Satoshi that allowed one user to claim some higher authority, expertise or precedence in the development of Bitcoin over another user. Alongside Satoshi’s mailbox, PGP keys and first blocks, a person sending alerts over the Bitcoin Alert system would undeniably have a demonstrable high status in a supposedly horizontal system. The discussion also turns to some of the complications of actually trying to remove this protocol, describing some of the exploits in code that allowed actors to restore functionality to the defunct alert system. Andreas muses over the double-edged sword that such a state of affairs can exist because if “there is no central point of failure, then there is also no central point of recovery.” Juggling centralization and democratic ideals is likely to be a conflict in Bitcoin that can never be completely solved. The episode also includes a brief interview with Joe Looney to discuss parallels between his Rare Pepe Wallet and the more recent trend of CryptoKitties, ruminating on the possibilities of using blockchains to add gamified incentives to a number of possible platforms. The full episode and further episodes from both this and other podcasts are all available now on the LTB Network. It’s a sign of the times and the growing maturity of the crypto industry that a new industry trade association launched in Washington, D.C., on September 11, 2018, to lobby the U.S. government on a range of issues from taxation to regulations; to educate members of congress about the growing success of blockchain; and to encourage lawmakers to allow innovation to flourish and benefit the economy. Kristin Smith, director of external affairs for the new Blockchain Association (BA), told Bitcoin Magazine in an interview that the time has come to properly represent a growing number of contributing companies with a unified front in working with members of Congress and regulatory agencies. “We look forward to working with members of Congress and key regulators like the SEC and the CFTC to advocate for nimble, informed regulations that balance the need for consumer protection and market integrity with opportunities to let innovative companies thrive,” said Smith. So far, the BA’s first order of business has been to sign up as many blockchain and cryptocurrency companies as possible as members. Founding members of the BA include Coinbase, Circle, Digital Currency Group, Polychain Capital and Protocol Labs. Also signed up are Hangar, Inter/Stellar, Coinlist and Blockstack. 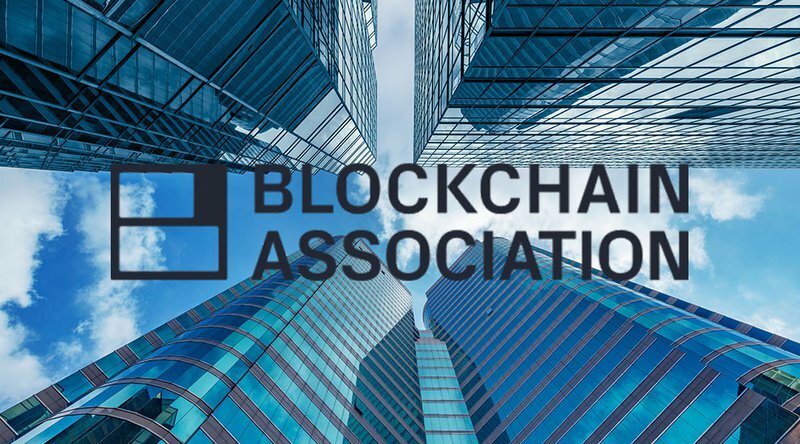 “The blockchain industry is so innovative in large part because of the strong and informed views of its leaders, many of whom are part of the inaugural group of Blockchain Association members. Founding member Circle sees the role of the BA as that of a “bridge” between the crypto industry and the government. "As with early internet innovators, blockchain firms need to partner with the government to effect this technology’s full potential. BA is a critical bridge for this partnership," Bob Bench, Circle's head regulatory counsel and CCO, told Bitcoin Magazine. Smith recognizes that there’s an uphill battle ahead for the BA, bringing members of Congress up to date on the rapidly changing cryptocurrency landscape, including the growing importance of ICOs and the new token economy. The BA also must face down a wall of misinformation and prejudice, while advocating for fairer and more future-oriented regulatory decisions that recognize ways in which the new world of blockchain technology does not fit neatly into the old regulatory categories. Smith acknowledged the instrumental role that Jerry Brito and his think tank Coin Center played in helping the BA get set up. For well over a year, versions of Bitcoin Core — Bitcoin’s leading software implementation — contained a severe software bug. The bug was fixed with Bitcoin Core 0.16.3 (and 0.17.0rc4), released this week, and the status of the Bitcoin network now appears to be safe, with no harm done. The Bitcoin Core project has released a full disclosure report, revealing that the bug was even worse than previously thought. The bug was introduced as part of a block relay-related performance upgrade deployed in Bitcoin Core 0.14.0, officially released in March of 2017. In short, the bug would fail to reject a block containing a transaction that spends the same coins (“inputs”) multiple times. Indeed, it would allow for an (irregular) form of double-spending: arguably the very thing Bitcoin was designed to prevent. It posed a serious problem, which might have manifested in several ways. Technically, the bug could also have caused a blockchain fork between affected nodes (Bitcoin Core 0.15.0 through 0.16.2 and codebase forks of it) and unaffected nodes (most notably Bitcoin Core 0.13.2 and older, as well as some alternative Bitcoin implementations). This is unlikely, however, since the latter category probably doesn’t have sufficient hash power behind it to generate even a single block within a couple of days — let alone several blocks. This means that a miner would have had to knowingly risk forfeiting a regular block reward worth some $80,000. An attack like this would have been noticed fairly quickly — everything happens on a public blockchain, while crash reports would probably have flooded chat rooms and forums. At that point, the Bitcoin user base would very likely agree that the added inflation was, in fact, caused by a bug — and should not be accepted as a new protocol rule. Therefore, not unlike a bug that split the Bitcoin network in 2013, a majority of miners (by hash power) would have either upgraded or downgraded their software quickly to reject the “attack block” and mine on the “honest chain” instead. As soon as this honest chain overtook the “attack chain,” even vulnerable nodes would have switched to the honest chain and disregarded the attack chain, leaving the attacking miner without any block reward. The fourth piece of good news is that a majority of miners on the network has probably upgraded to get rid of the bug by now. This means that even if an attacker were to try and exploit it, he wouldn’t get very far. The honest miners would overtake the attack chain sooner rather than later, at which point even non-upgraded nodes would accept the honest chain as the only valid chain. To err on the side of safety, users are currently recommended to wait for more confirmations before accepting a payment, however. In technical terms, the effects on the Bitcoin protocol are as follows: Bitcoin Core 0.14.0 introduced an accidental hard fork “upgrade” that was never triggered or acted on by miners and, therefore, never led to a blockchain fork. This “accidental hard fork” has practically been undone by an intentional miner-enforced, soft-fork upgrade over the past couple of days, possibly also enforced by the economy at this point in time. However, not everyone shared this approach. As the bug came under the spotlight, more people started to figure out on their own that the bug was more severe than just a DoS vulnerability. 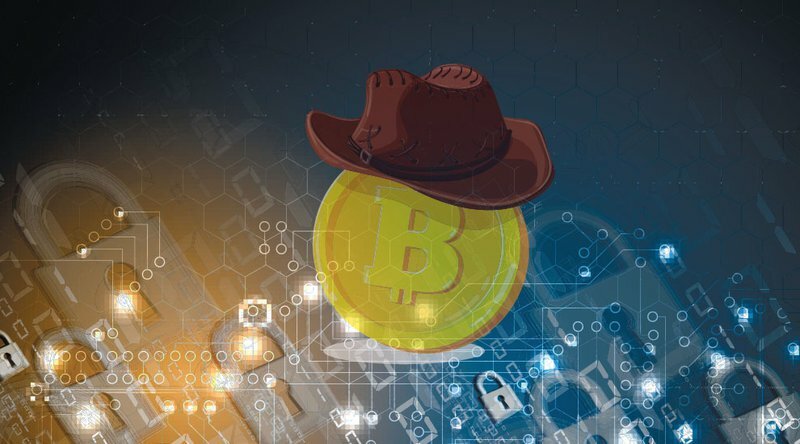 While unconfirmed, it’s rumoured that some started to leak the full extent of the vulnerability, arguably putting the Bitcoin network at greater risk of attack. When the vulnerability was reported on Hacker News (though later retracted), there was little reason to keep it under the covers much longer. Luckily, by then, it seemed to the Bitcoin Core contributors in the know that most miners had upgraded, meaning that the Bitcoin network was safe. While sooner than originally planned, the Bitcoin Core project opted to publish the full disclosure by Thursday evening. However, this early disclosure does mean that a number of altcoins based on Bitcoin’s codebase could still be vulnerable to the attack. While the leading implementations of the biggest Bitcoin codebase-based cryptocurrencies — most notably Bitcoin Cash’s Bitcoin ABC — deployed fixes and are probably safe by now, smaller coins may not be. In a bid to extend the reach of its services, Bancor is opening up shop on another blockchain. The decentralized exchange protocol is expanding to EOS, a Bancor blog post reveals. Speaking to Bitcoin Magazine, Bancor’s Director of Communications Nate Hindman said the protocol will still allow users to trade Ethereum tokens, while its newest iteration, BancorX, will introduce this functionality to Ethereum’s rival, as well. Bancor’s announcement offers a comparative glance at EOS’s benefits over Ethereum. These include near-instant transaction times at 1 second, zero transaction fees and no front-running risks (i.e., unlike Ethereum’s gas structure, EOS transactions are not prioritized by adjustable fees). Reiterating tidbits of the blog post’s rationale in our conversation, Hindman also said that EOS has more than enough momentum behind it to warrant Bancor’s attention. Holding that “[some] of the most promising blockchain projects are launching on EOS,” Hindman continued to state that the Bancor team expects an influx of token projects to launch on EOS before the end of the year. 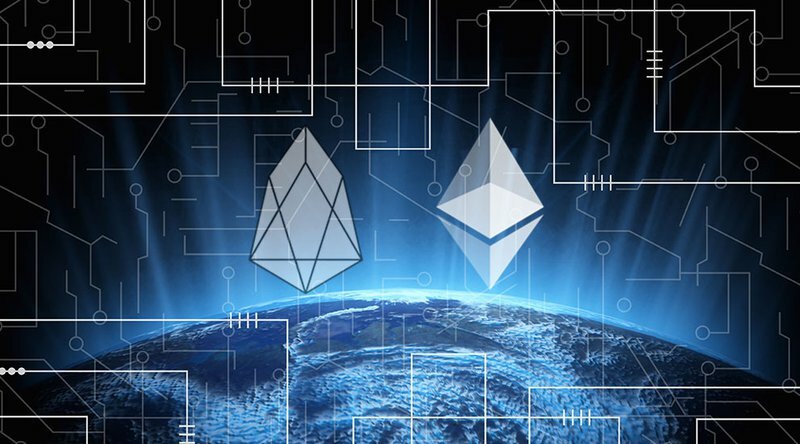 Recently launched, EOS has been touted by proponents as an “Ethereum-killer,” a sentiment emboldened by the beating Ethereum has taken in recent months as the market continues its tenuous downtrend. Plagued by scalability concerns, restricted development and a network bloated with useless DApps, the faster, more technically elastic EOS is primed to outpace the grandfather of tokens in the long-run, EOS fans claim. Still, these exuberant takes don’t mean EOS isn’t without its faults, nor does it mean that Ethereum’s core developers aren’t working to neutralize the same problems its critics hone in on. For EOS’s own baggage, the platform’s supernode structure has been criticized for being highly centralized, and the platform has also drawn flack for its year-long ICO — the source of “$4 billion in [funding]” that Bancor alluded to in a press release related to the announcement. EOS also has transaction control mechanisms in place, something that has led founder Dan Larimer to reconsider the protocol’s constitution. Such a cyber safety net seems relevant to a protocol like Bancor, which made headlines at the end of July 2018 for a vulnerability that cost users $23.5 million. This exploited bug, though, could have cost the platform even more if not for a feature that allowed the team to freeze some $10 million in Bancor’s native token, BNT. When asked if this mechanism, which allows block producers to reverse any transaction on the network, could be one that Bancor favors, Hindman noted “that no single block producer (BP) can reverse transactions; rather, it requires the unanimous agreement of all 21 BPs.” He also claimed that, even if BPs were to reverse a transaction, this action is hardly different from the Ethereum community seeking to reclaim funds via hard forks after incidents like the DAO hack. Also known as supernodes, block producers are up for frequent election and reelection, and Bancor has thrown its own hat in to the ring for one of these positions, with a candidacy in LiquidEOS. Voted in and out by the EOS community, these block producers “can be removed by the EOS community at any moment if they were to abuse this distributed trust,” said Hindman. The expansion will allow Bancor to cover more ground, opening its trading protocol to an entirely new ecosystem of tokens. Perhaps the most notable features of BancorX, then, are the cross-chain liquidity options it will open up to users. On Ethereum’s network, Bancor’s protocol creates trading liquidity through token reserves, which allow users to swap between tokens via the platform’s smart contracts. In bringing this feature to EOS, Bancor hopes to fulfill “its intention to be a cross-chain liquidity protocol,” Hindman said. For now, however, Hindman said that Bancor is “hard at work” preparing its technology for launch on the EOS mainnet, which has “no specific go-live date yet.” When ready, the rollout will see initial support for Everipedia (IQ) , MEET.ONE (MEET), HireVibes (HVT) , Lumeos (LUME), MyCryptoBank (MCB) , Chaince (CET) , CoArt (COAT) , Prospectors Gold (PGL) , HorusPay (HORUS) and DEOS (DEOS), and Bancor has made a call for other EOS token projects to apply for listing on the protocol. To give developers and users a preview of the forthcoming offering, Bancor has published its open-source smart contract code for EOS on Github, and it has also released an embeddable user interface to allow users to trial the smart contract’s token conversion on the EOS testnet. These preliminary offerings come alongside a bounty program, wherein Bancor has fronted 500,000 BNT to be distributed amongst whitehats who find issues with or improve the protocol’s freshly developed code. The U.S. Securities and Exchange Commission (SEC) has once again postponed a decision on the application for a Bitcoin Electronically Traded Fund (ETF) by VanEck and SolidX, in what is the latest update in a protracted regulatory process that has dragged on for several months. The agency has stated that it needs more time to consider more input to help it arrive at a decision on the matter, which was originally postponed to September 29, 2018. Despite the huge market appetite for a bitcoin ETF, which would enable investors to effectively invest in bitcoin without actually holding the asset and risking exposure to its unique security challenges, the SEC has so far rejected or deferred a decision on every application for a bitcoin ETF. Earlier, the commission rejected a series of applications by a number of organizations including Gemini, the exchange owned by Cameron and Tyler Winklevoss. The commission also recently halted U.S. trading of Tracker One’s Swedish ETF, as it seeks further consultations and comments on VanEck’s listing request. 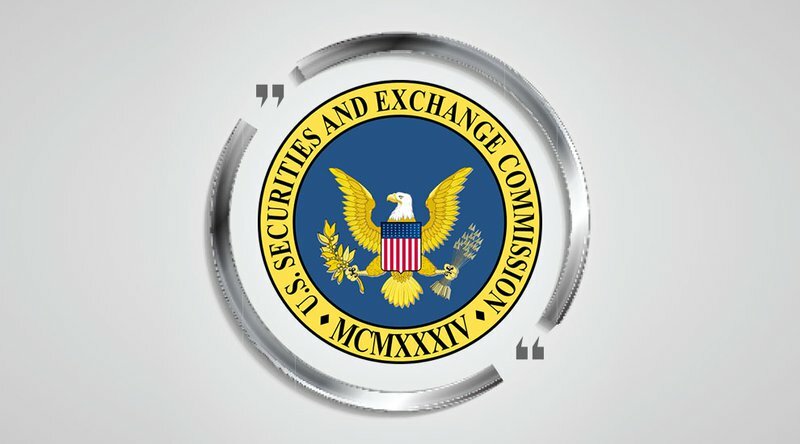 Thus far, the SEC has received over 1,400 comment letters about the proposal by VanEck and SolidX to front an ETF, but the agency is open to receiving even more feedback, according to a filing published on Thursday. The filing states that those who wish to comment on the application have 21 days after the SEC’s order is published in the Federal Register, while those who wish to make rebuttals have 35 days from that date. The SEC’s major hangup about a bitcoin ETF remains the capacity, or lack thereof, of the crypto market to surveil itself and prevent manipulation effectively. To this end, the body is seeking views from the public about the possible impact of a bitcoin ETF on market manipulation, including whether an ETF is more or less vulnerable to price manipulation than other assets and commodities that form the basis for exchange-traded products. It will be recalled that, recently, a number of crypto industry heavyweights including a consortium of exchanges led by Winklevoss-owned Gemini started up an initiative aimed at demonstrating that crypto markets have come of age and are capable of effectively policing and surveilling themselves. Bitman has launched a new 7nm ASIC processor that it says will soon be powering a new range of its Antminer mining machines. Square is reportedly considering adding banking services to Square Cash, its peer-to-peer (P2P) payment platform, according to CNBC. Earlier this week at the Recode Code Commerce conference, Square's CFO Sarah Friar said that the firm is considering ideas such as savings products and enabling customers to trade stocks on the platform, which she said were spurred from the amount of money consumers store in the app — customers hold a combined $200 million in balances in their Square Cash accounts. Square has explored a banking license in the past. Last year, Square applied for an Industrial Loan Charter (ILC) — the most common type of banking license sought by nonbanks as it allows them to continue nonbank operations, like manufacturing card readers — but recently withdrew the banking license application. But ILCs have long been controversial because many believe that firms apply for them to circumvent regulations that traditional banks follow, and so Square faced backlash. Upon withdrawing the application, Square said it had plans to refile its application in the future but did not specify a timeline. Regardless of the status of the ILC, a push to add bank-like features to Square Cash can be beneficial to the platform. This potential move can complement Square Cash’s existing banking features to appeal to more users. Square has already added features similar to those offered by checking accounts in offering a physical debit card, which has become popular, nearly tripling its volume from December 2017 to June 2018. Square Cash also supports ACH-based direct deposits, which allow users to receive an account and routing number through Lincoln Savings Banks and can be treated as a regular direct deposit. Adding more bank-like functionalities could make Square Cash an ideal solution for users like unbanked or underbanked consumers, who represent 27% of the US population and total nearly 30 million consumers, or digital-savvy groups that want an alternative or supplement to a traditional bank. That can increase the app’s volume by making it appeal to a wider customer base, which can ultimately accelerate its growth. 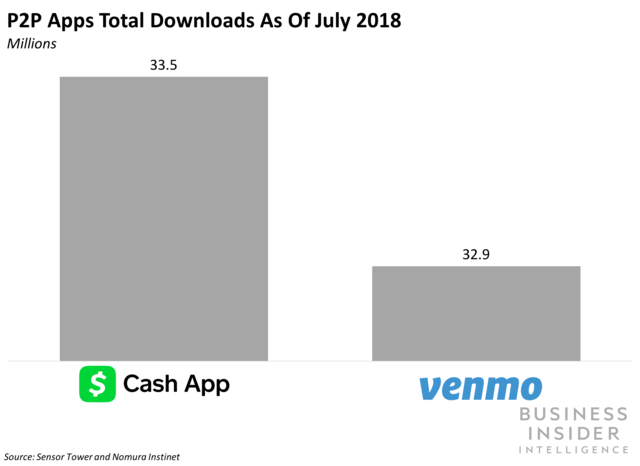 And it could position Square Cash more competitively and provide a new stream of revenue.Square Cash grew three times faster than PayPal-owned P2P app Venmo in July and now counts 33.5 million total downloads, compared to Venmo’s 32.9 million, according to data from Sensor Tower and Nomura Instinet cited by CNBC. Adding new features has proven an effective onboarding tool — Square Cash added Bitcoin trading to its platform earlier this year, which brought customers in, for example. So if the service wants to keep up rapid growth, adding bank-like features could be a smart way to maintain differentiation from competitors like Venmo or bank-based platform Zelle in a crowded space. And building out Square Cash into a broader financial services ecosystem could also be lucrative, since it might boost the firm's subscription- and services-based revenue segment, which grew by 127% annually in Q2 2018 — in part because of Square Cash, which previously hadn't been a major contributor— in turn helping a key profit driver for Square overall. Issuance of tether (USDT), the controversial stablecoin, has had no meaningful impact on the price of bitcoin, a newly published academic study found. BTC has bounced back into bullish territory over $6,700 amid increased investor interest in altcoins. The California state government’s political watchdog has ruled that candidates will not be allowed to receive donations for political campaigns with cryptocurrencies like bitcoin. The Fair Political Practices Commission, a five-member non-partisan commission that functions as the state’s campaign watchdog, has voted to ban cryptocurrency donations for candidates running for public offices in the state. Candidates for public office in California may not receive donations in cryptocurrency, the state's political watchdog has ruled.